Every once in awhile something comes along that will blow your mind. Or at least expand it exponentially. I believe this brief audio will do just that. You can tell just from the tone of my voice how ridiculously jazzed I get about this topic - because it changed my life completely. This lesson is a PIVOTAL one for anyone who wants to get to the heart of manifesting, or what this physical world is really about...and how Thoughts Become Things...and how God/Source/LOVE really IS at the core of each of us. He died for 1 hour and 45 minutes. He went to Heaven. And then he came back. "Everything was so perfect - past words to describe it." My radio guest this week, Dean Braxton, met God and Jesus. Five years ago, those words would have turned me off. "Met Jesus?" Yeah, right. But truth is, now I know it's just different words for the same thing. We're talking Light and Love here folks, we're talking Higher Self, Source Energy, whatever you want to call it. Open your mind and heart, and put it into your own words. Another truth? He really did this. He really went to The Other Side. He really experienced Divine Love. And in this interview, he shares it with all of us - not just the information, but the vibration of Unconditional Love itself. Dean's message surely resonates with the Christian community. But trust me, it will resonate with you wherever you're at. "When I got there, many of the boxes that I believed in were blown apart. I still believe in the Bible, but I see things in it differently than I ever saw it before. I started looking at [it] from a heavenly point of view, not an earthly point of view." So, whether you're Christian, non-Christian, Jewish, Muslim, Atheist, Agnostic, Buddhist, Taoist, Confusionist, etc etc etc - take a listen. Absorb the Love. Be in the space of Divine energy. 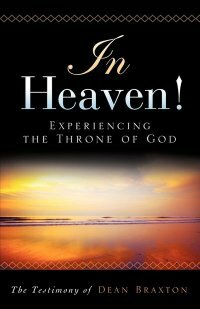 Here's Dean's website, with a link to his book In Heaven: Experiencing the Throne of God. If you like this, Sign Up here to receive our newsletter with updates and inspirations. And share it with your loved ones, too. My guest this week, Greg Norman, really brought home the message of Love - that great inner power we all have - that connects us to those vibrations much Higher than our normal human experiences. Details on his practice of Opening the Heart, which has allowed him to experience "Heaven on Earth" and to begin fulfilling his truest purpose. Join the conversation by liking The Power Within on Facebook - share your thoughts, insights, and your own experiences - we'd love to hear from you! And if you like this content, and want to be notified of new shows, join our free newsletter. Join us as William Buhlman, out-of-body (OBE) researcher, author, and teacher explains the nature of non-physical reality, from which we all stem and remain intricately connected. Mr. Buhlman relates, from 40+ years of exploration during OBEs, how we are, indeed, "spiritual beings having a human experience." We discuss his upcoming book, which delves into "life after death," and how we can help prepare ourselves, and our loved ones, to enter the most loving realms out there. As he says, "Heaven isn't a place, it's a state of mind," and his new book will help readers enter into as brilliant a Heaven as possible. The conversation moves into and over countless topics, engaging newbies and experienced folks alike. Sit back, and allow yourself to be expanded.